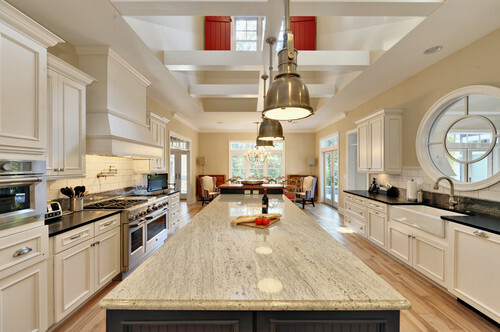 With so many choices at homeowners' fingertips, picking out a kitchen counter is no easy task. Since this surface area ends up influencing many kitchen palettes, it's important to choose something that looks good to you, will hold up under the kitchen activity of your household and has a price tag that suits your budget. We've gathered links to our guides to 15 popular kitchen countertop materials handily in one place to help you find the choice that suits you best. 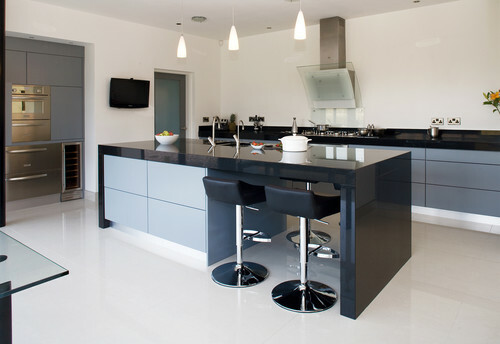 Often used in laboratories for its resistance to stains, chemicals and bacteria, soapstone is a durable and natural choice for a kitchen. At $80 to $100 per square foot installed, it might be on the more expensive side, but it can be a lifetime investment. There are plenty of reasons granite is so popular — this natural stone has plenty of character, with unique grains, colors and customizable finishes. When properly sealed, it's one of the most durable options out there. While it can cost as low as $50 per square foot installed, prices can go up quickly with more exotic slabs and difficult installations. 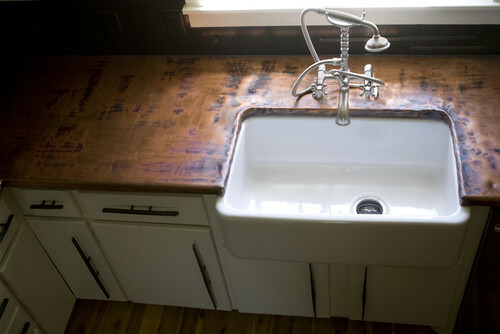 It certainly isn't common, but a copper countertop is surprisingly easy to clean and maintain. However, it's not for perfectionists — since it's a "living" surface, it reacts to different substances, creating a blend of matte reds, browns and greens. But for those who love the look, the minimum $100-per-square-foot cost is worth it. 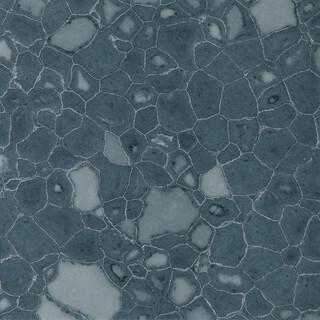 Perfect for the customized home, engineered quartz comes in just about every shade imaginable. This engineered product combines ground quartz, resin and pigments for a tough, nonporous material. Great ecofriendly attributes makes it a safe bet for green homes, too. Get ready to pay up, though, since costs range from $95 to $105 per square foot installed. One of the more affordable counter choices (starting at $30 per square foot installed), ceramic or stone tile is incredibly durable, and one of the few DIY countertop options. Maintenance can be difficult with all that grout, but choosing a durable and dark grout can make things easier. 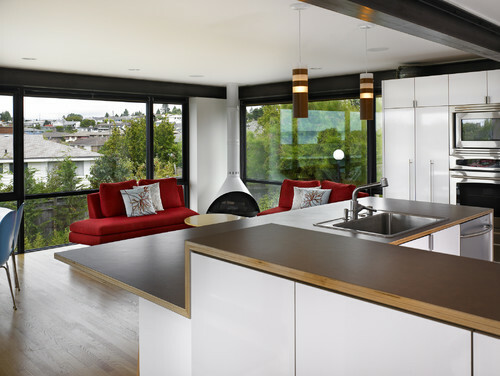 A little research is really all that's required today to make your new kitchen ecofriendly. The wide variety of material styles and costs — from salvaged wood to Bio-Glass to bamboo (shown in this photo) — means you can find just the right green countertop material for your home. You don't see zinc countertops in many modern kitchens, but this metal has a warmth that has made it popular for centuries. Zinc's tone darkens with time, adding patina. Its antimicrobial properties make it a smart choice for a cooking space. This beautiful material typically costs $100 and up per square foot, installed. Although it's sometimes scoffed at by stone lovers, plastic laminate still has a serious fan base. The wide range of customizable edges and finishes means it can work in any design. At $8 to $20 per square foot installed, its affordable price makes it a winner for many. 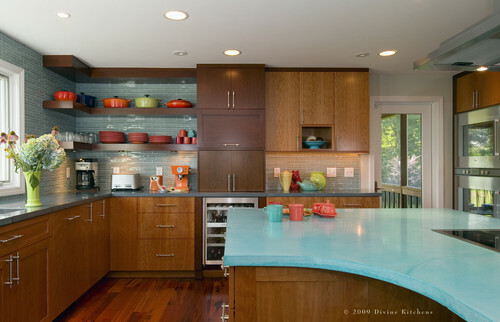 However, it's not the most durable of countertops, so it may not be best for heavy-duty cooks. 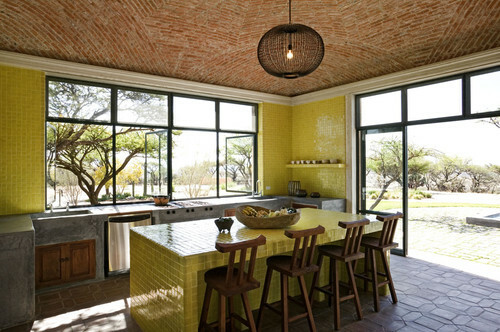 Although it's expensive ($100 to $160 per square foot installed), this unique combination of glass and cement is a surefire way to add character to your kitchen. 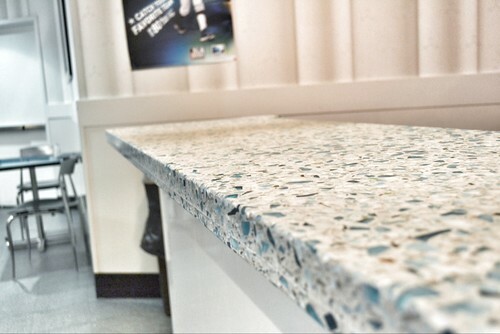 Ecofriendly, durable and customizable, this countertop material is a top choice for a "forever home." Marble has an unrivaled, classic look that always seems to be in style. 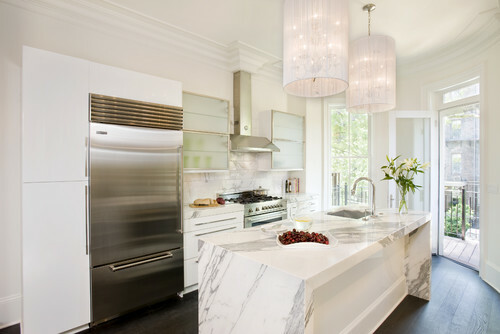 For lovers of white kitchens in particular, marble offers more variety than almost any other material. Marble is known more for the patina it develops with use than for its durability. It's a softer stone than granite, and can scratch and stain easily; the cost typically ranges from $70 to $100 per square foot installed. 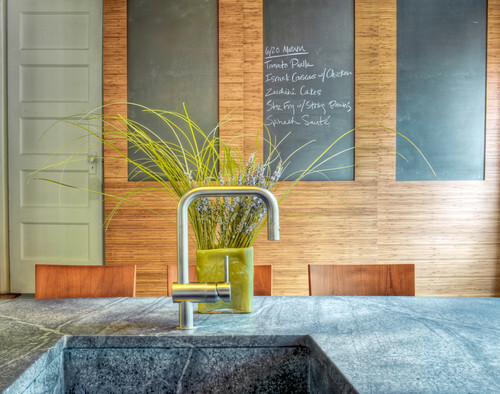 Pigments, stains and dyes can create concrete counters with color and visual texture. With the right sealer, a concrete counter can be well worth its cost — at least $100 to $150 per square foot installed. 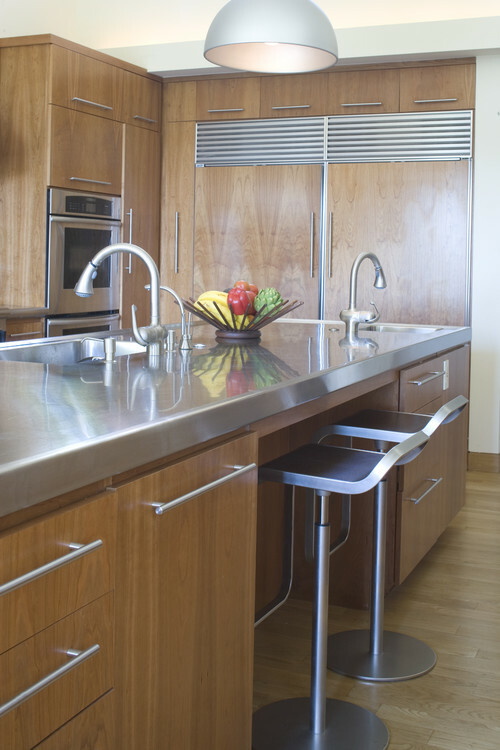 Professional chefs love stainless steel because it's nonstaining, heat resistant and easy to clean. 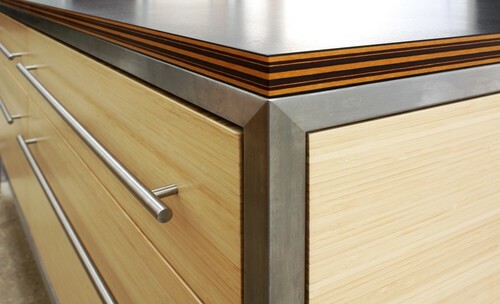 While it certainly makes fingerprints and scratches stand out, it's a great choice for hardworking kitchens that don't need a perfect look. A price tag of $80 to $90 per square foot installed means it's more affordable than most stone counters, too. Is it stone, wood or plastic? This miracle material has the ability to emulate just about any look without the same damage risk or maintenance. Prices range from $50 to $100 per square foot, depending on the manufacturer. 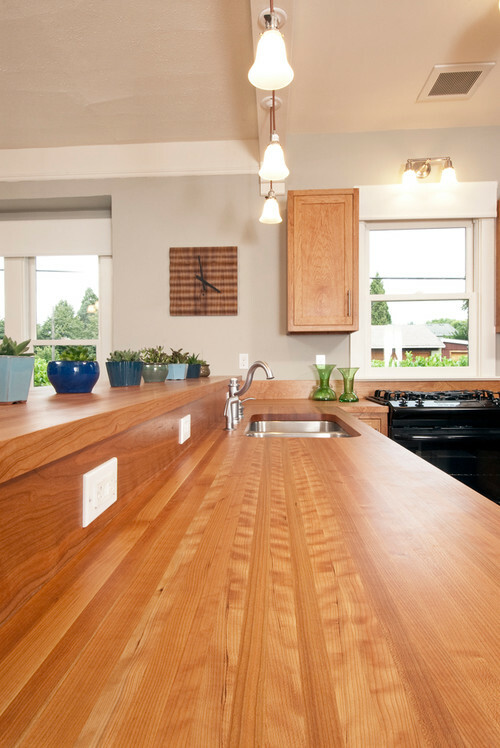 For some, wood and countertops just don't seem to mix. 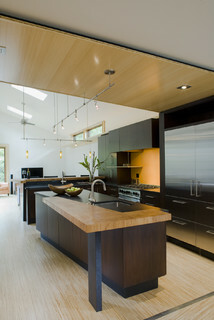 But a high-quality wood with the right kind of sealer can make for a beautiful, warm and long-lasting countertop. The price varies substantially depending on the type of wood you choose, but butcher block counters tend to range from $30 to $85 per square foot, for materials only.